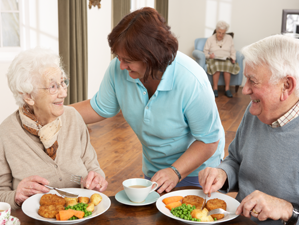 Dietary Manager is designed to enhance Resident/Patient choice in the selection of their meals, while reducing management time to build and assign menus. Master menus are easily built for 1 to 70 days in a menu cycle. Customization of menus for each resident/patient is easily addressed through preferences and menu change screens. As you learn new preferences they can be quickly updated and put into place immediately. Recipes are provided with the application. Each client has the ability to add new recipes or modify recipes provided; you have your own custom recipe file. New recipes can be easily added and scaled to your needs. Dietary Manager will continue to add more recipes to the master file which you have access to. Recipe ingredients are pulled from a product inventory file rationalized by Dietary Manager for you in conjunction with your vendors. Our goal is to get you up and running in 60-90 days with all inventory ingredients as you purchased tied to the recipes, which will provide up to date pricing not only for the ingredients but also for all menus, generic and resident customized. 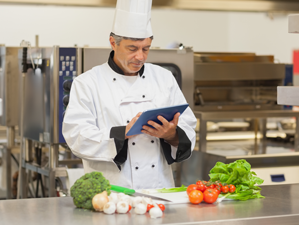 Dietary Manager works with your vendors to help you manage costs. Dietary manager will work with your vendors to update pricing monthly, a service that is included in your monthly licensing fee. At any time, you have the ability to add new ingredients along with their nutritional information. Menu development is simplified by allowing for duplication of menus across diets and modification of special diets as required. As you build a menu, you will see how the cost of each recipe affects your meal and PPD cost, allowing you to balance out the meals and the daily cost. Nutrional data on each meal and day is also readily available from the menu screen, making it easier for your Dietitian to evaluate the menus you build them. Holiday menus are integrated into the cycle as they fall, without any additional steps.